Ssso, What Else Is in the Pond? 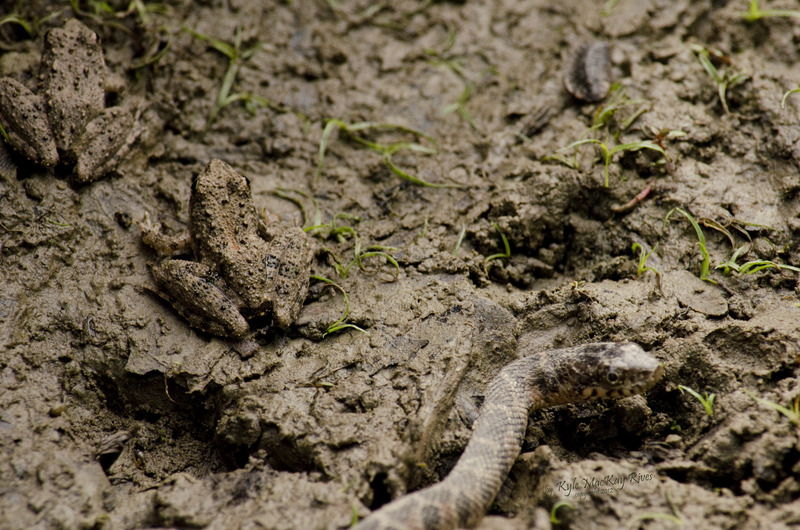 Bridger was up fishing at the pond when he spotted a snake swimming by. Later that morning I went up to take some mid-day photographs. Usually I am there just after sunrise or just before sunset, but it turns out there is plenty going on in the heat of the day. 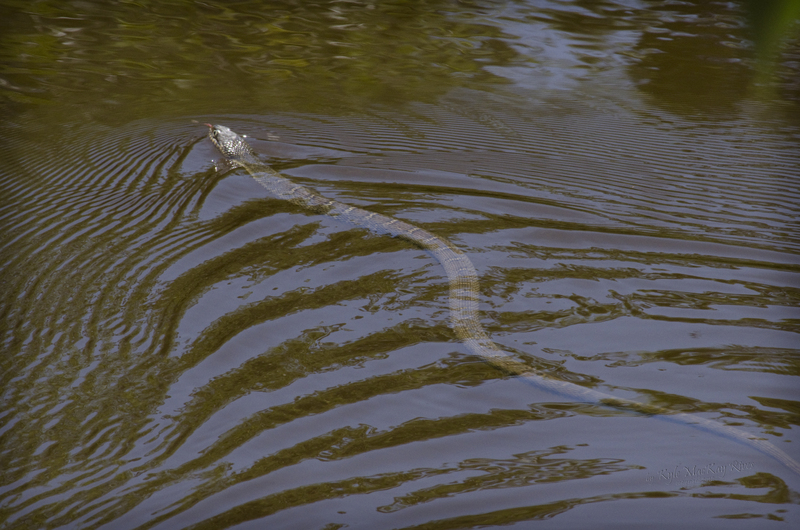 Bridger’s snake swam by a couple of times, looking mighty cool and comfortable in the pond water. It surely was more comfortable there than I was on the bank in triple digit heat! It is a pretty powerful swimmer if we can judge by the ripples it is creating! 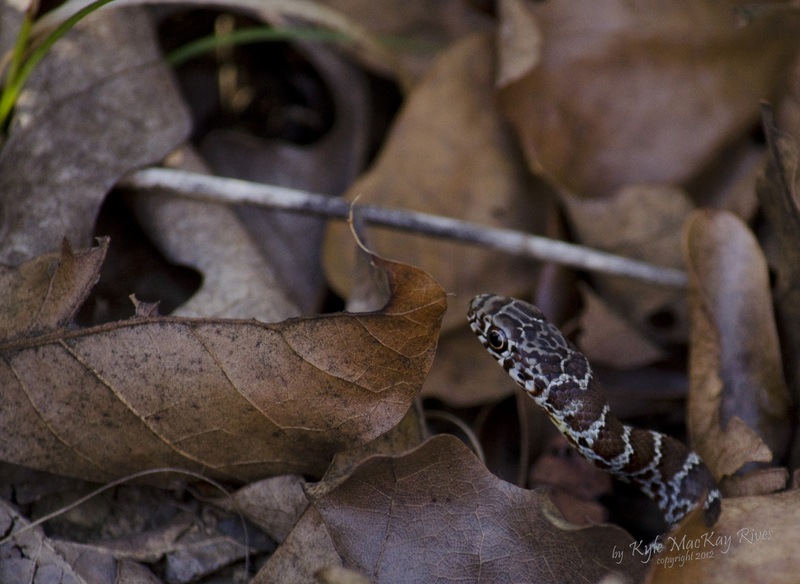 Does anyone recognize the variety of snake? One more visitor to the pond. He trotted casually up to the pond while I was standing stock still waiting for a dragonfly to return to a stump. He didn’t notice me for some 25 minutes, but he was hidden in some brush where I could only occasionally glimpse an ear when he moved. Consequently, I only have two photos of him from that morning. The photo is somewhat out of focus. It is amazing there is any sort of focus at all, as I had done something I rarely do, turned it to manual focus in an attempt to capture a dragonfly skimming the pond surface. My autofocus kept bringing the reflection into focus instead of the surface of the water. 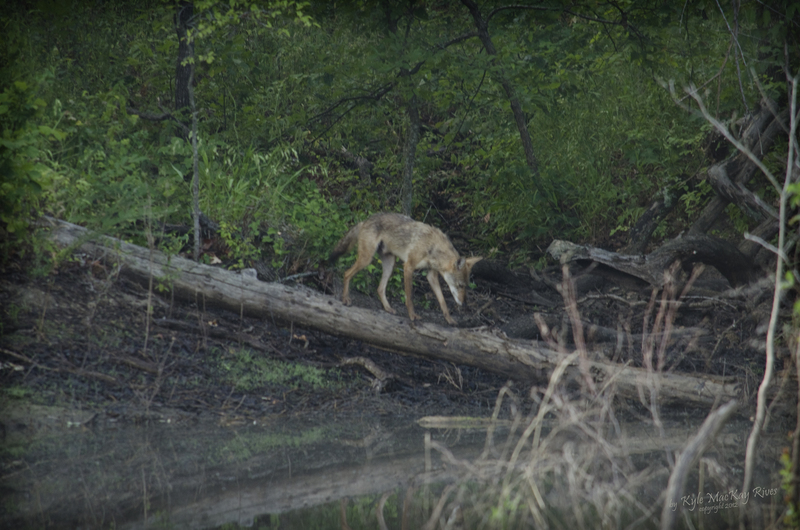 When I saw the coyote, I forgot all about focusing and just snapped a photo – I did, barely, remember to roll the little wheel, changing my aperture to allow for switching from sunlight to shadow. 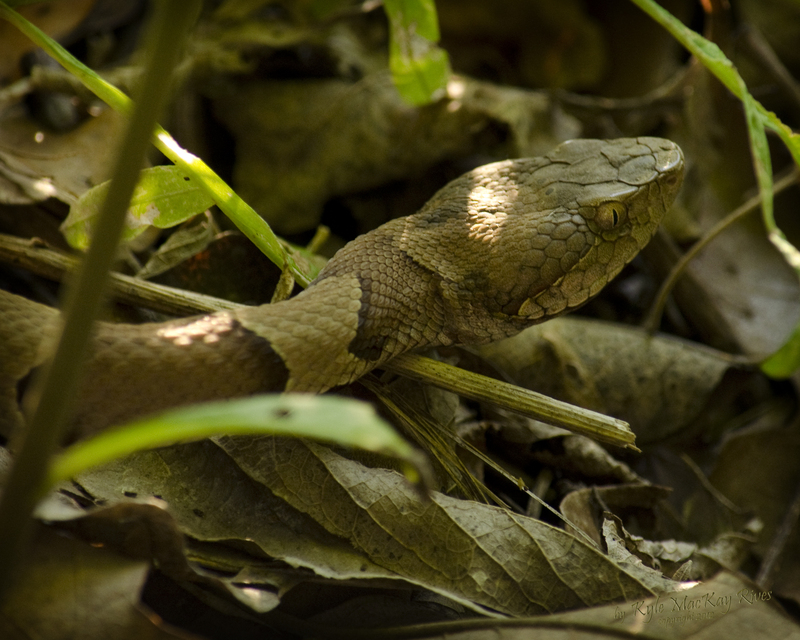 This Copperhead snake would blend in much better with all these dried leaves on the “forest” floor if only that pesky early morning sun wasn’t highlighting the roundness of its body and the beautiful texture of those scales.